The recent news that Ryan Adams is covering the entirety of Taylor Swift’s 1989 inspired me to make a giant list of other albums he should probably cover. But he’s already way ahead of me. His version of Oasis’s “Wonderwall” is legendary; recently, he finally came full circle and did Bryan Adams’ “Summer of ’69,” which he once kicked a heckler out of a show for requesting. 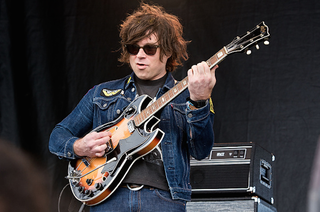 The magic of a Ryan Adams cover is that he takes a song that once belonged to someone else and makes it fully his; if I were a fellow songwriter, I’d be both scared and honored if he ever hijacked something of mine. The covers collected below also prove that he’s got a huge range: For example, here’s a short snippet of him playing the Backstreet Boys’ “I Want It That Way.” If that’s not your thing, though, here are 16 of his finest reclamations.